This weekend, join us for a 24-hour stream marathon for the second Beta Weekend Event for Heart of Thorns! 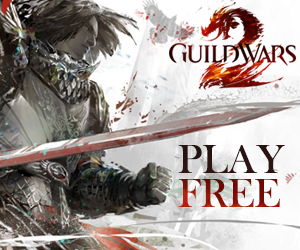 Tune in to our Twitch channel (twitch.tv/guildmag) for the first 24 hours of the beta event – 8pm BST (UTC +1)/12pm PDT (UTC -7) on Friday, September 4 until the same time on Saturday – for a chance to win Guild Wars 2 prizes while checking out part of what Heart of Thorns has in store! 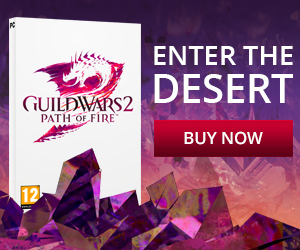 We’ve got lots of goodies to give away including GW2 T-shirts and copies of Heart of Thorns! We’ll be checking out Verdant Brink and all of the available specializations plus the revenant, so if you’re still unsure about pre-purchasing HoT or want to learn more about it, drop on by! We’ll be answering your questions and showing you as much as we can. Our streamers will be on camera for you as follows and several of our team members will be joining them throughout the marathon to answer questions and offer their impressions along the way. And did I mention we have prizes?? Previous: Gamescom 2015: Taking Your Questions!